The head office of Helvetia insurance is located on top of the Girtannersberg, raised above the town of St. Gallen, and in the vicinity of other large building complexes. 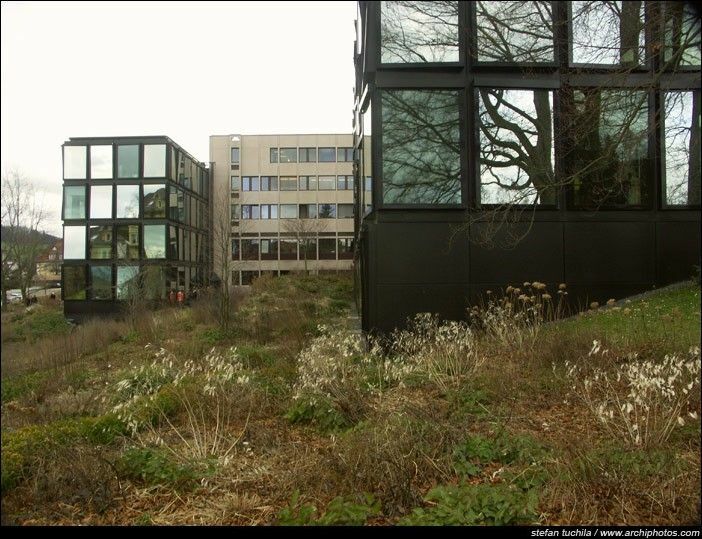 The extensions by Herzog & de Meuron of the existing cruciform complex are designed to create a functional and contextual organism arranged around four distinctly different courtyards. The buildings added on to the end of the existing cruciform arms each vary in size and structural system in response to the respective topographic and urban context. The first two of the planned extensions have finally been completed, many years after the competition (>058) of 1989. They are narrow, glazed structures oriented towards the city. 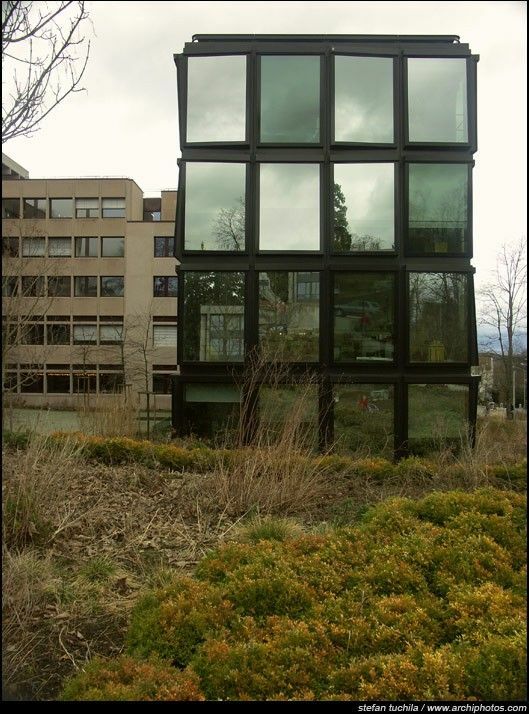 The room-height windows, mounted with a slight twist of their vertical or horizontal axis, reflect the garden, the sky and the neighboring buildings, giving the façade a dynamic, kaleidoscopic appearance. Inside the building, each workplace enjoys a different spatial environment due to the slanted glazing in every window. 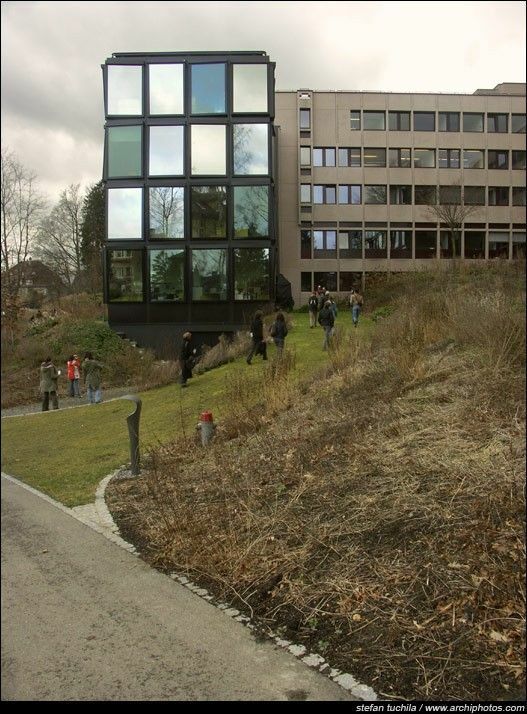 Helvetia in St. Gallen represents the attempt to manipulate an efficient, modernist, “Mies-ian” steel/glass structure in order to create both a more individual, more intimate atmosphere inside and a more complex architectural interaction outside.